Hi! 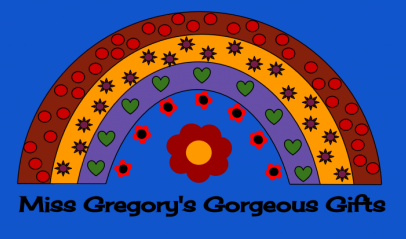 I’m Vicki and I run Miss Gregory’s Gorgeous Gifts. My business began in 2012 in a very small way, I wanted to start a small business while my two sons were still little, the idea being I can then work around them when I need to. I specialise in crochet, my love of crochet inspired me to design and make amigurumi, those cute little critters make me so happy! As I do design them the toys that I make are unique to me. They are CE marked as required by toy safety regulations and they are suitable for children of all ages including babies and the young at heart. This led on to me crocheting baby blankets too, I love to put a contemporary feel into my blankets and enjoy using natural yarns for a really special feeling product, these blankets are designed to be used for generations to come, so when you buy one you’ll be creating your own heirloom. 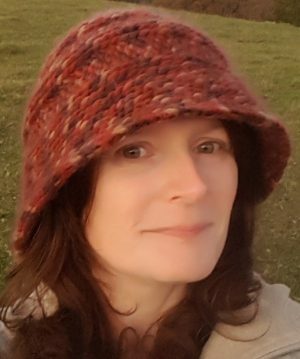 I am mainly self-taught but my Nana started me off with crocheting when I was little and my Mum made toys when I was young too – so it’s easy to see where I get it from! Not content with just crocheting, I also enjoy sewing brand new products out of unwanted fabrics – upcycling these fabrics into bags, crochet hook rolls, bunting and other products for my adult customers (though I know they love the toys just as much as the children sometimes!) A good combination of this is using upcycled t-shirt yarn to crochet with, so I do that too! Locally I also teach crochet, I run evening classes in Builth Wells and day courses in Rhayader and also offer private lessons. I now live in mid-Wales on top of a hill with the sheep, birds and rabbits. My sons and I love it here and I get lots of peace and quiet to concentrate on designing and making while they’re off at school. I hope you enjoy browsing in my Etsy shop, I’m still designing new products to add to my range so keep checking back to see what I’ve come up with! You can also keep up with what I’m doing on Facebook and Instagram. I also hope you enjoy reading my blog!